Warhammer 40000 Gladius Reinforcement Pack — the first step-by-step wargame in the Varhammer 40k universe. The game takes place in the world of Gladius Prime, where the player takes part in the incessant warriors. Take control of the faction of Astromilitarum, Space Duty, Orc or Necron, and destroy all enemies on the map. The game zone and tasks in the game are randomly generated, which causes a high potential for replayability. Each race in the game is a unique campaign with a set of non-recurring tasks, designed to fully uncover the story prescribed by the scriptwriters for each individual faction. As the developers themselves said, they created 4 plots, outlining one big picture. Warhammer 40000 Gladius Reinforcement Pack is more focused on military operations and battles, rather than on diplomacy and management. The last two components of the game process are present as such, however, in their functionality, management and diplomacy consist of standard elements. This state of affairs is intended to move the player to an unprecedented war, where there is no place for agreements and agreements. But what this war will be like depends primarily on the chosen faction, since the gameplay for each of the warring parties differs dramatically. 5. Download & install Update v1.1.5, in game folder. This game has been updated 6-12-2018, 15:21 to the latest version v1.1.5. Version 1.1.02 has been officially released! • AI now takes into consideration from how many of the currently visible enemies they could be attacked from a tile before stepping into it. They will try to position their units on tiles that can be attacked by as few enemies as possible while still being able to attack from where they are. • Added a threshold for when melee units that currently can attack an enemy will retreat, causing them to stay in combat for longer. This shall help Orks in particular, who often lost a lot of units from being too undecisive with their many melee units. • AI now mathematically determines whether building a second construction building makes sense and will put more emphasis in getting it quickly when it does. • AI now puts more emphasis on not getting their population growth reduced. • Area of Effect is now properly taken into consideration for AI unit selection. • Fixed an issue with the AI not getting resources refunded when canceling an order under certain circumstances. • Adjusted difficulty names for the improved AI. • Changed visualization and audio of Neophyte Hybrids' Return To The Shadows ability to better match its description. • Tweaked Land Raider model and animations. • Tweaked color intensity of some Space Marine vehicles. • Fixed unit health bars not refreshing when a unit has a wait order. • Fixed neutral Techpriest Enginseer units sometimes continuously appearing from the ground. • Fixed Jokaero Digital Weapon item having an incorrect range of 1 instead of 2. • Fixed quest screen not closing by keyboard shortcuts like other screens. • Fixed crash when closing the settings screen after opening it with Ctrl+E. • Fixed outposts not being captured when the player control of a unit changes. • Fixed Stormraven Gunship research not requiring Launch Pads to be researched. • Fixed Dimensional Sanction research description not mentioning action cost reduction. • Fixed several English typos. - AI will now be more aggressive when fighting other factions. This might slightly weaken them in FFA scenarios but should be more fun to play against. 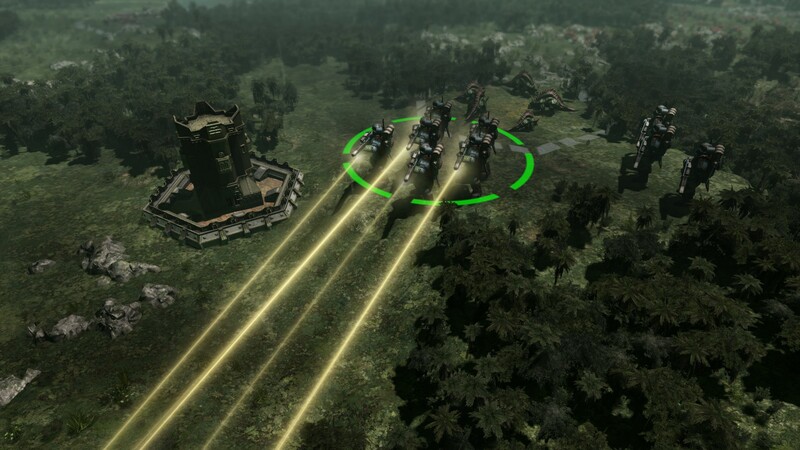 - AI will no longer retreat its units when their cities are under attack and take damage. Instead it'll also fight with the damaged units. - AI now tries to keep support units units behind other units and out of harms way. - AI is now less likely to shoot their own enslaved units when there's other units around (like an Enslaver). 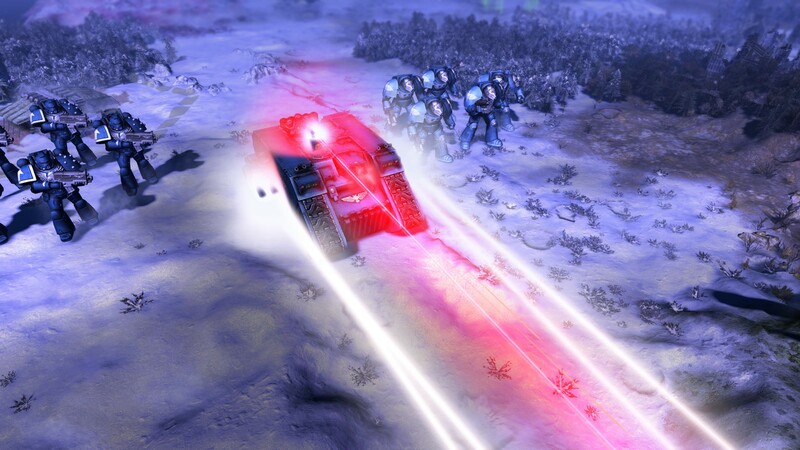 - Targets for capturing and exploring will now always be picked considering the distance form the AI's army. Targets for attacking will be picked considering the distance from the cities. That way the AI still prioritizes defending but will not waste so much time going back and forth with their army for recapturing and exploring. 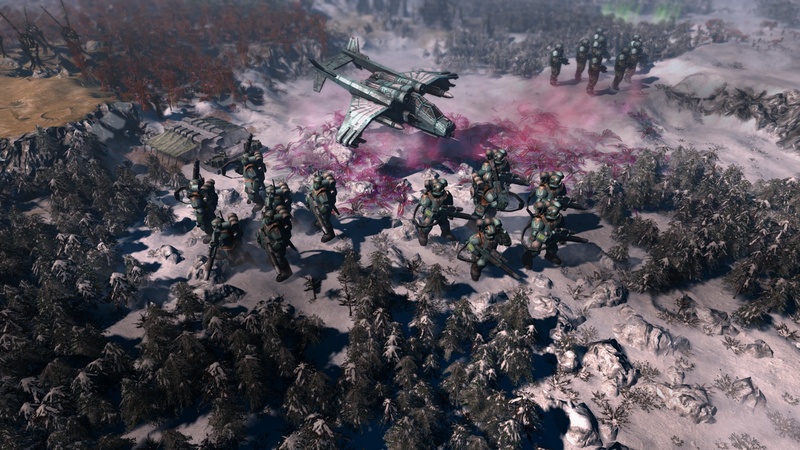 - When retreating a unit to heal, the AI will now not just go out of immediate attack range of the enemy but also further back in general to make it harder to chase the retreating unit down. - AI is now more afraid of Enslavers. - Added AI flags to a lot of technologies so the AI knows what they are good for and can choose research accordingly. - AI no longer considers to let a unit heal when it hasn't lost at least 10% of its health. This helps against "stunning" Ork melee units via miniscule damage caused by morale loss. - Whether AI tries to keep their population growth maximized now depends on whether they have enough production capabilities to keep up with the population growth. - Ammo Runt and Signum abilities are now used by the AI. - Fixed an issue that caused recommended tiles for founding a city only being the tile the builder was on.